India opener Shikhar Dhawan Tuesday said the selectors have picked a "very strong side" for the ICC World Cup starting May 30 in the United Kingdom. Shikhar Dhawan will feature in his second World Cup. Shikhar rated Indian squad as strong. India will play its first game against South Africa on June 5. India opener Shikhar Dhawan Tuesday said the selectors have picked a "very strong side" for the ICC World Cup starting May 30 in the United Kingdom. The MSK Prasad-headed selection committee Monday named a 15-member squad, which will be led by Virat Kohli, with Rohit Sharma being his deputy. 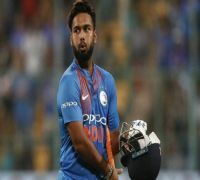 Dinesh Karthik pipped Rishabh Pant in the fight for the second wicketkeeper's slot. "For the world cup, we have a very good and a strong side and we are looking forward to the competition. We will perform really well once we get there," Dhawan said at an event organized by Fortis Healthcare and Delhi Capitals to raise awareness for organ donation. Talking about his IPL side Delhi Capitals, who are currently placed second on the points table with five wins from eight games, Dhawan said the experience of coach Ricky Ponting and advisor Souran Ganguly is helping the side. "The support of the coaches Ricky Ponting and Sourav Ganguly... Their experience as a captain along with the belief they instill in us is great. At the same time, the young boys in our team are also getting mature." "It has been a good season for us. It's a clean slate for the Delhi franchise, new name, new administration, support staff everyone was new. Our team is strong and is a balanced side with the overseas and Indian players. The way we are performing is good." 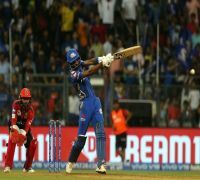 The stylish opener missed out on his maiden century of the season when teammate Colin Ingram hit a six to give Capitals a seven-wicket victory, but Dhawan has no regrets. "I was not thinking of the century, it was more important to win the match. 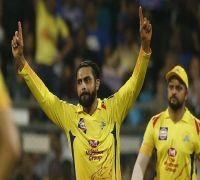 At that time it was important to hold on to my wicket and take the team over the line because we had lost a couple of matches from a winning position." "People are only seeing that I missed my century by three runs but they should also see that I score a 97. If I have scored it once I can score it ten times more," Dhawan said.